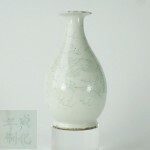 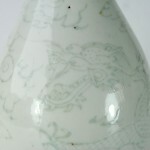 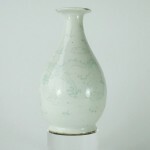 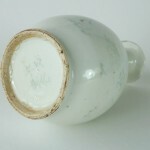 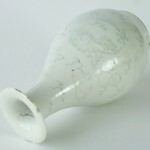 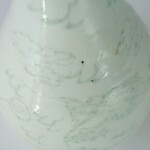 Small vase with finely incising lined five-claw dragon decoration in copper oxide (turns greenish) underglaze. 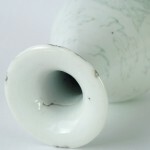 The pear-shaped body raised on a spreading foot and surmounted by a slender neck rising to a flared mouth. 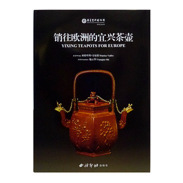 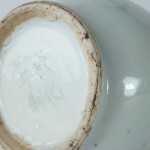 The technic of Copper oxide underglaze was first used from the Changsha potters in the Late Tang/5 Dynasties period. 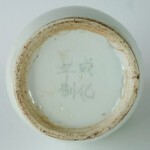 Excellent condition, some frits at rim, further only the typical traces of production and of the age – please see photos.